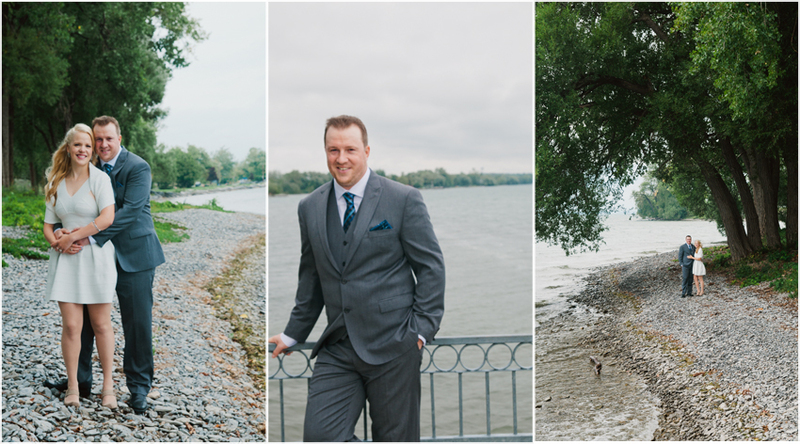 I was excited when the bride contacted me and wanted me to photograph both a small, family wedding along the shores of Lake Ontario near Bath, Ontario as well as her destination wedding in Mexico come October! Upon further investigation, it was learned that the resort in Mexico has strict policies that their own photographer be used for her wedding. This is a fairly common practice among resorts, so I’m writing this in case there is an fyi to the brides-to-be wanting a destination wedding, please make sure you ask or read the fine print to ensure you are allowed to bring a photographer to your destination wedding before booking your photographer of choice. 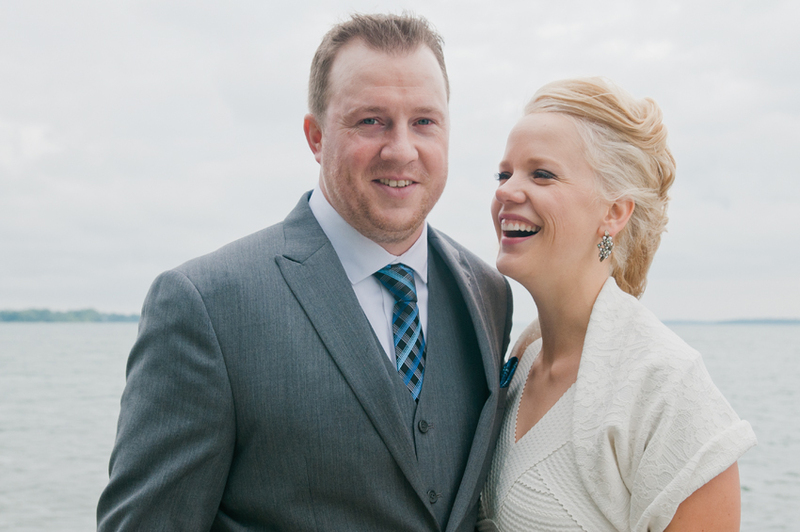 Regardless, I was happy to photograph this couple’s small, family outdoor wedding. 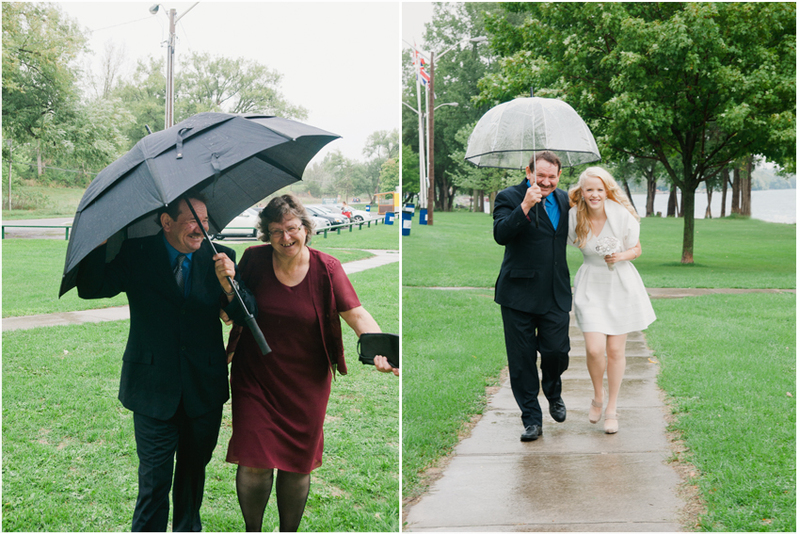 It was pouring, pounding rain a good half an hour before the outdoor ceremony was to begin and I was feeling concerned for her grandparents comfort should it continue. 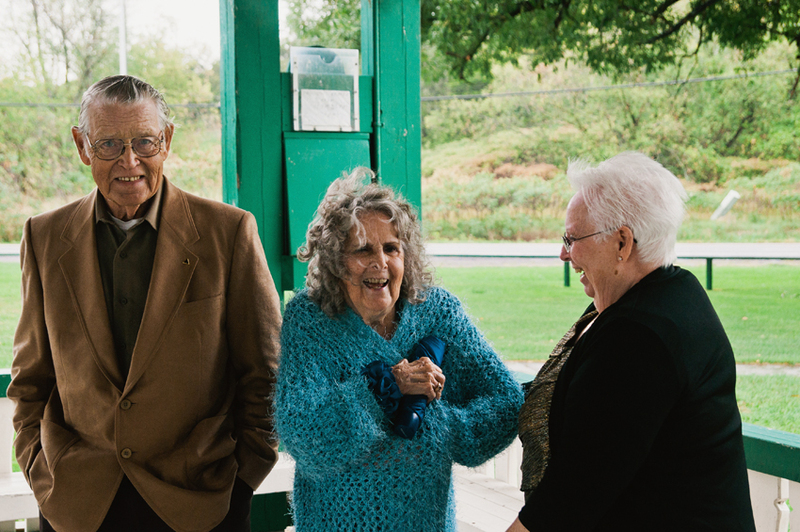 A big part of the reason they chose to have a small, family wedding was to ensure their grandparents, who are unable to travel, could witness them become husband and wife. 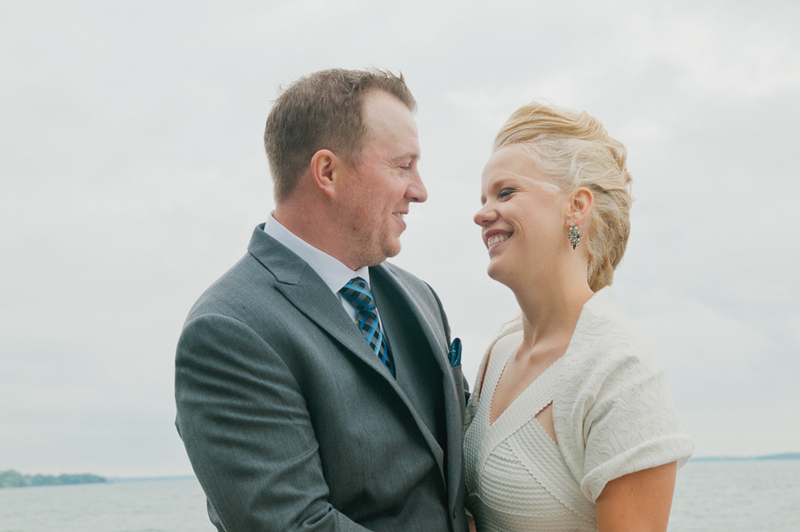 When I entered the small gazebo where the ceremony was to take place, there was only one small spot inside that was dry, so it made the decision of where they would say their vows easy. 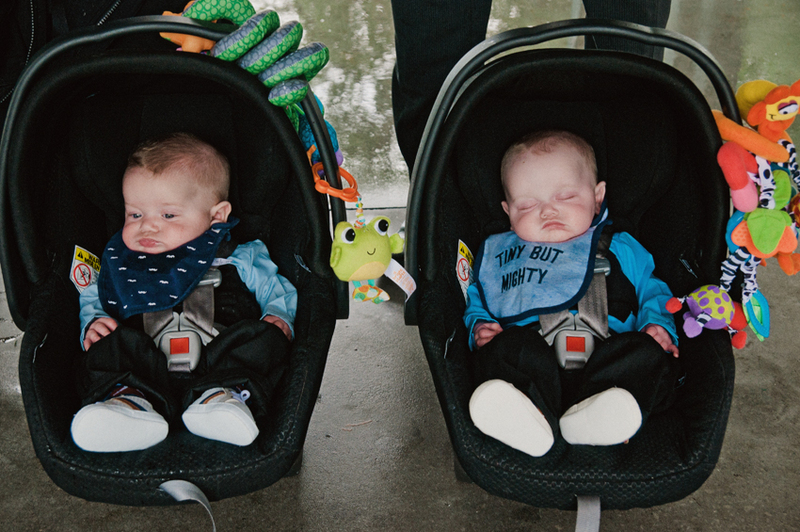 Thankfully, the rain lightened, and by the end of the ceremony, when it was time to take family pictures by the the lake, it had stopped completely. 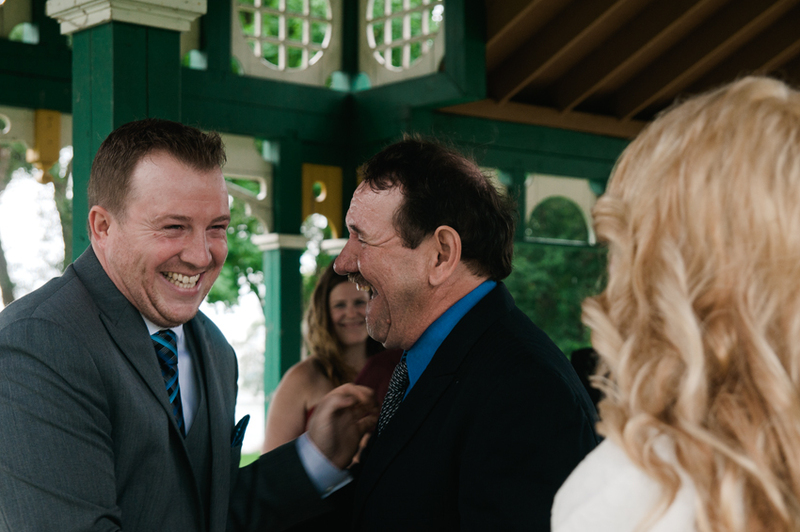 The father of the bride giving his soon to be son-in-law a good ribbing as he gives his daughter’s hand to him. 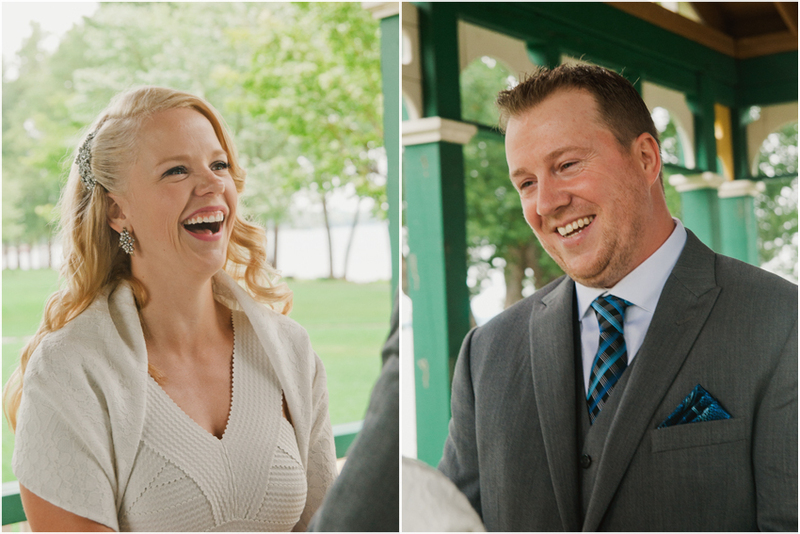 Nothing better than laughter and smiles during the ceremony.